In offering Sky Player, participating Xbox owners in the UK and Ireland will also be able to access a wide variety of pay TV content as well as a range of interactive services uniquely delivered by the Xbox LIVE platform. For Sky Sports, for example, this will mean that live coverage will be supported by range of interactive applications to enhance the viewing experience. As well as fans being able to communicate with one another in real time via their broadband connections, they will also be able to check news and access fixtures, league tables and other on-demand information. Interactive applications will also be developed across other programmes genres. 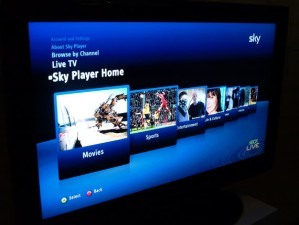 Sky Player on XBox 360 will be free to existing ‘multi-room’ Sky satellite subscribers or a separate paid-for monthly subscription for others. The service should be available this autumn.